There are many reasons to choose TL Windows, if you need replacement windows, doors, double glazing repairs or conservatories. Is it the fact that we have 25 years of experience or that all our installations are covered by a 10-year guarantee? Whatever the reason for choosing us, we ultimately believe that the most important thing about TL Windows – and the main reason that the vast majority of our orders come through recommendations and repeat business – is the quality of our services and products. We are proud members of Checkatrade so visit their website to read reviews from our satisfied customers. The first part of any window or door installation undertaken in Eastbourne, Polegate or the surrounding East Sussex area is the site survey. All items are made to measure. With TL Windows, what you always receive are high quality windows and doors professionally installed to first-rate standards. We realise that choosing the right windows and doors can be daunting. If you live in or around Eastbourne, please don’t hesitate to contact us if you need expert advice. Sometimes, double glazing repairs will be the most appropriate course of action. Repairs are usually needed for broken, misted units or for reducing draughts caused by friction hinges not working properly. We can also upgrade your window mechanisms to improve the security levels of a current installation. 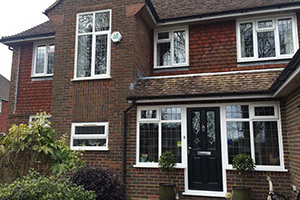 For homeowners in Eastbourne, Polegate or East Sussex, double glazing repairs are a cost-effective way of maintaining a property without having to absorb the expense of full replacement windows. 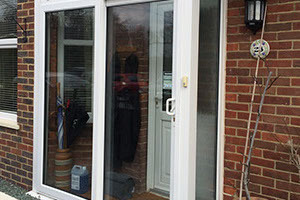 Call us now for a free quotation on all window and door repair work. If you hire TL Windows to install your conservatory, what you will experience is the same dedication to quality and customer service that you get with all of our services. Getting the best from a new conservatory will depend on the chosen shape, which in turn will depend on the amount of space you have available and where that space is situated. 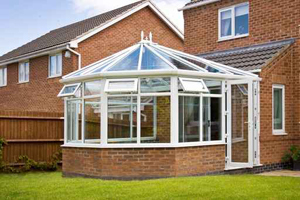 To allow conservatories to be useful all year round, we design each installation specifically for your property. We use our expertise to optimise insulation and the availability of natural light. Our company has already undertaken many successful conservatory installations in Eastbourne, Polegate and the surrounding East Sussex area. call us now on 07703 595363 or 08000 112260.